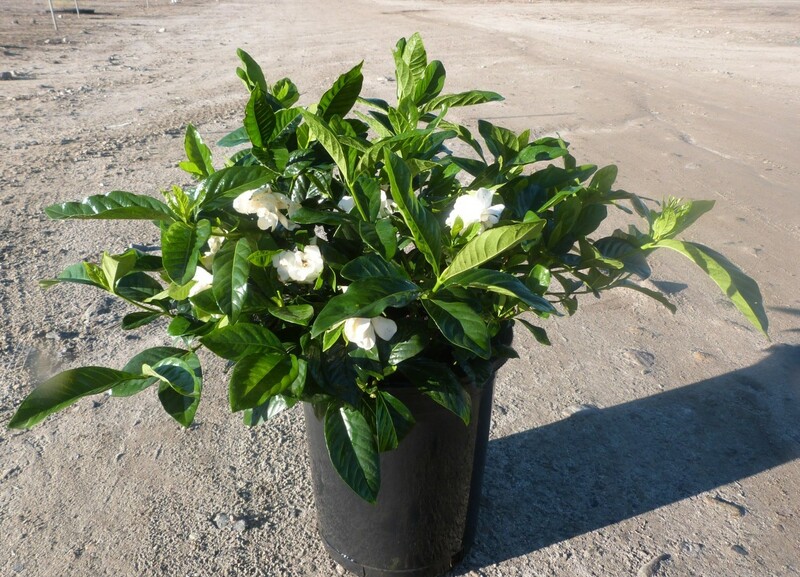 Gardenia jasminoides ‘Mystery’, is one of the most popular gardenia varieties available and for good reason. This gardenia makes a beautiful evergreen specimen that can be used as a screen in a small urban space. Its waxy, deep green leaves create beautiful contrast with the large stark white fragrant 4-5” flowers it produces in late spring to early summer. The intensely fragrant flowers hold on longer than some of the other popular gardenia varieties. It’s always a good decision to plant gardenias near entryways, patios or windows where you can best enjoy their fragrance. ‘Mystery’ grows into a rounded growth habit, reaching 5-6’ tall and wide at maturity. Shaping plants by tip pruning after blooming can keep plants growing densely. For best results, plant in organically moist, rich, acidic soil that drains well. ‘Mystery’ gardenia will need some afternoon shade in hot climates. The ideal panting spot is on an eastern exposure, with direct morning sun. Make sure to plant this blooming shrub where it will be protected by extreme cold temperatures. Excellent as a container specimen.